Take a guided nature walk to discover the local flora and fauna or learn of the traditional uses of plants with a local medicine man. All treks have been established in conjunction with local villages. You may join one of our local farmers and medicine man on a walk to his teitei (garden). You’ll learn about the local crops of dalo, tavioka, uvi and yaqona and about the uses of local forest plants for crafts, medicine and building. Afterwards, you’ll have the chance to relax and talanoa (chat) with members of his family in their village home before returning to the resort. The trip takes approximately three hours and includes breathtaking views, shady forest paths and grasslands. Bula to all at beautiful Matava Resort! Thank you for making my week in particular the most relaxed time in the last 20 years, I am by nature usually unable to sit still for more than about half an hour. (Should be skinnier). My visit has made me rethink what is truly important. For me the week exceeded my expectations, which had been visualised from Sam’s excited descriptions, and you have a SPECIAL place in the sun. Please pass on my best wishes to Ta, Magi and Joe, as they with the support of all your staff made it memorable and a destination that I shall definitely recommend to others. Located one hour’s walk from the resort is a stunning waterfall which plunges into a cavern of overhanging rocks dappled in ochre and russet colours. The pool below provides an excellent place for a refreshing swim following the walk. It is also popular among guests to sit and relax while the local village children scramble up the rocks surrounding the pool and show off with amazing high dives. The resort charges a F$10 entry fee to each guest who visits the waterfall and donates it to the village through the Matava Foundation. Matava Resort is located on the South East side of Kadavu Island, Fiji’s fourth largest and least developed of the big four islands. There are no roads on Kadavu and all transport is by village or resort transfer boats. 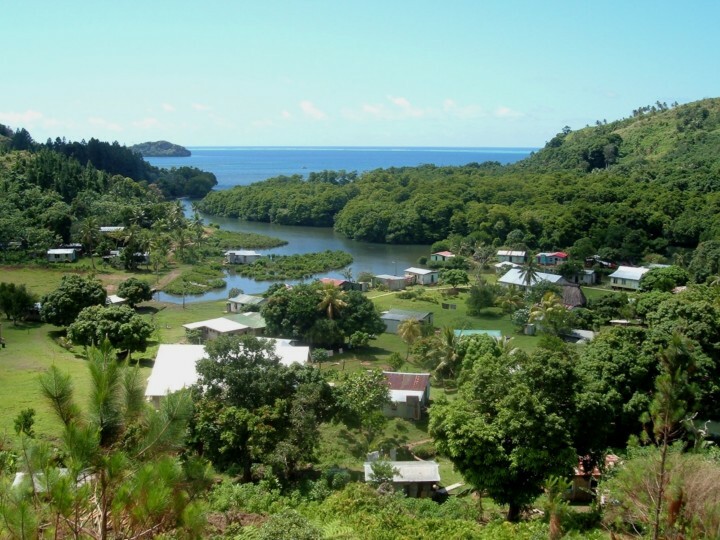 Most of the island’s villages are connected by bush trails that offer guests the opportunity to trek for miles through the jungle and visit distant villages or waterfalls. From the resort grounds, trails lead off into the jungle. Many of the paths exist only as a result of villagers walking between villages. 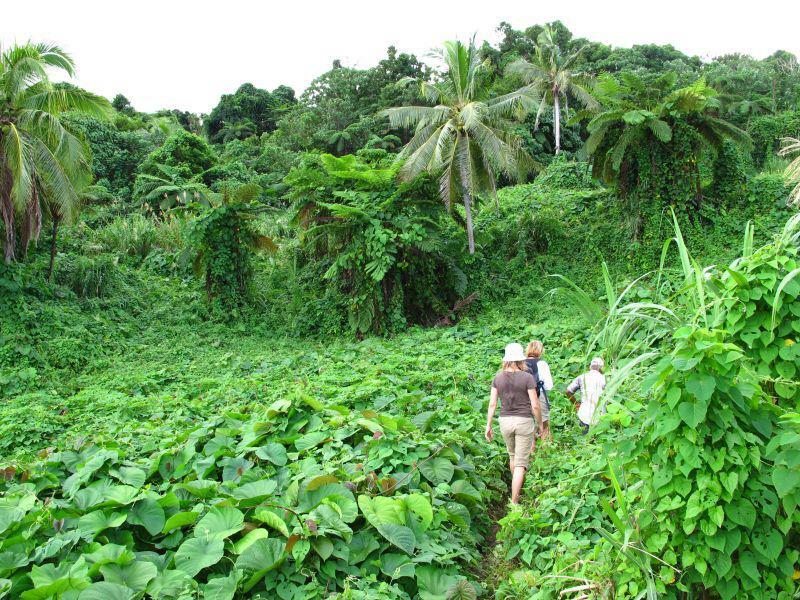 These paths can be challenging in wet weather conditions and are not maintained by anything other than the occasional swipe with a cane knife by a villager walking the trail. They do however enable guests to get deep into the rainforrest with its myriad of plant and bird life, not to mention spectaculour views. Matava resort is happy to custom-make guided hikes/kayaking adventures to suit your individual wishes.